When it comes to videogame consumers in Europe, there’s little denying it’s an almighty pain in the arse to suffer weeks and occasionally months of delays while North American or Japanese gamers get seemingly unfair access to all kinds of hardware and software goodies. To that we say, just be happy you’re not in India. Moreover, loyal but unfairly treated European gamers should spare a thought for tech lovers in India, who truly know what it is to wait after this week taking stock of the Xbox 360 Arcade more than 18 months after its official launch in the United States. 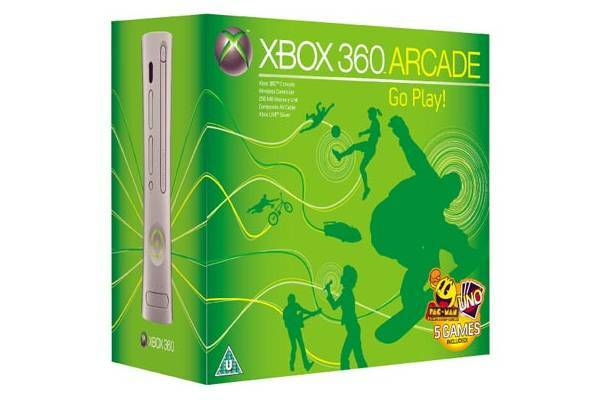 The Arcade bundle, which comes complete with five free Xbox Live Arcade games replaces the old Core model, but still lacks the additional hard drive available as standard on all other Xbox 360 models – and is vital for holding downloadable content. The free games included in the pack are classic Arcade titles: Boom Boom Rocket, Feeding Frenzy, Luxor 2, Pac-man Championship Edition, and Uno. The box also contains a single wireless Xbox 360 control pad. However, as pointed out, expectant gamers will need to purchase a hard drive attachment separately; not to mention an Xbox Live headset for online game communication, a network cable, and a HDMI cable for connecting to a high-definition television. And rubbing a little extra salt into any exposed wounds caused by having to wait such a long time for Microsoft’s basic console, the Xbox 360 Arcade is priced at 16,990 Indian rupees (approx. $340 USD), which is considerably more than it costs in both the North American and European markets. SanDisk unveils new USB flash drives in the India market which includes the Backup USB flash drive. SanDisk Backup USB flash drive claims to be the first ever to feature simple activation backup software. It enables you to backup all the critical files with the touch of a button. With no cables or complicated software required, it uses the patent-pending backup technology while the massive 64GB storage capacity can store all your favorite data. It protects onboard digital data with a dual layer of security that includes AES hardware-based encryption and password-protected access. “Consumers are taking more pictures, listening to more music, taking and watching more videos and collecting more personal data. As their library of personal data grows, so does the risk of losing this precious digital content. Hence the need to back up this important and priceless data becomes ever more important. We’re delivering incredibly simple and hassle-free backup solution to protect people’s most valuable digital content. With our wide array of capacities and price points, consumers can even choose to store particular file types like digital music or photos on different USB flash drives”, said Eric Bone, Director, Retail Product Marketing, launching the ‘new family’ of USBs in India. The new Sandisk family products also include the SanDisk Cruzer USB flash drive and SanDisk Extreme Contour. The redesigned SanDisk Cruzer USB Flash Drive features up to 32GB of storage capacity. The new SanDisk USB family sports a new iconic design. Its signature design elements are juxtaposed L shapes, a bright red USB connector and a simple cap-less design. The new SanDisk USB family also features the U3 Smart technology and you can also download the Veoh Web Player. The new range includes the SanDisk Extreme Contour that comes with read and write speeds up to 25MB/second and 18MB/second respectively. It incorporates security functions like the 256-bit AES USB hardware encryption and password-protected access control. The new SanDisk USB flash drives will be available by April through HCL, Micro Ingram and Rashi Peripherals. The SanDisk Cruzer comes with two years warranty, the SanDisk Ultra Backup drive is backed by a five-year limited warranty while the SanDisk Extreme Contour comes with a lifetime limited warranty. There is no word on the pricing. IBM’s Indian research division has developed a new protocol that will help users create “Voice sites” on the Internet, reports PTI. The protocol, Hyperspeech Transfer Protocol (HSTP), is quite similar to the more common Hypertext Transfer Protocol (HTTP) and will be used to allow users to talk to the web. The spoken web is a network of voice sites created using mobile phones. The driving force behind this technology is the rather large mobile subscriber base that India boasts of. With 360 million mobile phone users out there (and counting), this is a market no one could dare to ignore – and IBM knows that. The technology targets ordinary mobile phone users, all of whom may not be literate and would be glad to get some technological aid. According to IBM’s India Research Laboratory associate director Manish Gupta, on using the technology, “People will talk to the web and the web will respond.” The research technology is analogous to the internet. “Unlike personal computers, it will work on mobile phones where people can simply create their voice sites,” he adds. This technology was featured in IBM’s annual “Five in Five” list. IBM has already tried out the technology in some pilot projects in various states of the country and claim to have received tremendous response. What each DTH Player is Upto in India? Direct-to-home (DTH) television is no longer just about digital picture quality. Companies are competing to offer more channels, games and attractive packages for subscribers. Zee’s Dish TV claims to transmit the maximum number of channels with 225 channels on offer. They have 12 transponders which means that they have the capacity to show over 400 channels. 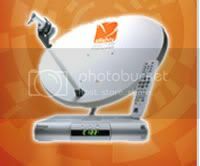 Dish TV is the only DTH provider which offers subscribers solutions for vehicles, ships, trains, airlines and computers, in addition to its direct-to-home service. Dish TV offers a free set top box with one year’s subscription. You get the set top box free by paying Rs 3,990 towards one year’s maxi subscription which is inclusive of installation and activation charges. Prasar Bharati was launched in December 2004, making it the oldest DTH player in the market. It offers 20 radio channels while private stations offer only 10. Prasar Bharathi also has 50 television channels, and plans to extend the number to 100 soon. All the channels are free which is why they have no subscription charges. They do not sell DTH boxes. They are available at various dealers priced between Rs 1,000 to Rs 3,000. Interactive applications are provided for all age groups. There are educational programmes for children. Tata Sky offers a cooking channel which features cookery shows that are repeated through the day. They also offer active darshan in which they feature live images of certain temples including the Shirdi Sai Baba temple, Siddhi Vinayak and Kashi Vishwanath. Tata Sky has a tie up with Shaadi.com and runs classifieds too. The latest entrant into the DTH market, Reliance’s Big TV claims that its 32 movie channels gives it an edge over other DTH services in the market. subscribers the chance to watch 12 images at one time. Others have only four live channels which cover only news and sports. Big Tv include entertainment as well! 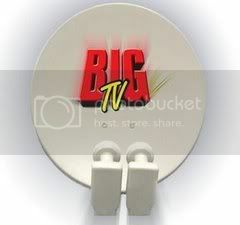 Big TV has also introduced special packages. 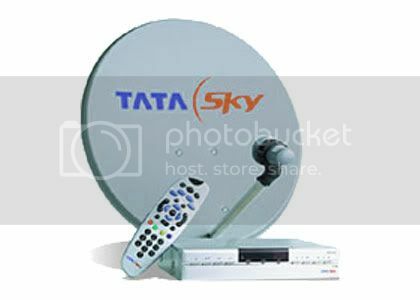 For the South they have the Rs 1,990 package where 105 channels are free for one year. For just Rs 200 extra subscribers can get three additional sports channels. Subscribers can customise their packages every month,” he said. Vodafone Essar, India’s third-largest mobile operator, will sell Apple’s iPhone 3G at 31,000 rupees ($708) for the 8GB model, a senior company official, who could not be named, said on Wednesday. Vodafone Essar and larger rival Bharti Airtel will start selling the device from Friday. Vodafone Essar will charge 36,100 rupees ($824) for the 16GB model. The new iPhone sells for as low as $199 in the United States. Even if 135% exide duty is Performed then also , the iPhone must be not more than Rs.17000 in India, this is just a market action on India.